AT&T wants you to feel sorry for it, because it wasn't ready for the demands the company's iPhone monopoly put on its network. Anyone who's been an AT&T iPhone user during the past few years can testify to how bad the company's service can be at times. This is particularly true in remote areas like Flagstaff, AZ, where I've been attending school for the past few years, but AT&T's service is often notoriously bad during conventions (like GDC in San Francisco) where too many iPhones overload the cell towers and nobody can actually make a call. Now, after years of complaints from the public, AT&T has finally fessed up to the fact that it was caught with its pants down when the iPhone was released, and it's been struggling to play catch-up ever since. A smartphone generates 24 times the mobile data traffic of a conventional wireless phone, and the explosively popular iPad and similar tablet devices can generate traffic comparable to or even greater than a smartphone. 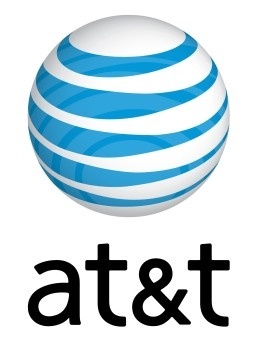 AT&T's mobile data volumes surged by a staggering 8,000% from 2007 to 2010, and as a result, AT&T faces network capacity constraints more severe than those of any other wireless provider. Apparently, AT&T expects the problem to get worse in the future: The company stated that it believes its network will have to carry more data in the first five-to-seven weeks of 2015 than it did in all of 2010. Accordingly, the T-Mobile deal will supposedly benefit consumers by "reducing the number of dropped and blocked calls, increasing data speeds, improving in-building coverage, and dramatically expanding deployment of next-generation mobile technology." While it's nice to see AT&T (finally) admit that it hasn't been serving its customers as well as it could, this definitely feels like a "too little, too late" scenario, given how cruddy the service has been for so long, not to mention how expensive the company's phone and data plans are.